PR: Apple this week will begin shipping the new 15-inch MacBook Pro notebook computer featuring the new Intel Core Duo processor which delivers up to four times the performance of the PowerBook G4*, a built-in iSight video camera for video conferencing on-the-go and the breakthrough Front Row media experience with Apple Remote. All models of the new MacBook Pro will ship with faster Intel Core Duo processors than previously announced, delivering even greater performance at no additional cost. The $2,499 model now includes a 2.0 GHz Intel Core Duo processor, up from the previously announced 1.83 GHz, and will begin shipping this week. The $1,999 model now includes a 1.83 GHz Intel Core Duo processor, up from the previously announced 1.67 GHz, and will begin shipping next week. In addition, customers may now upgrade to a 2.16 GHz Intel Core Duo processor as $300 a build-to-order option on the Apple Online Store. "We are incredibly excited to start shipping the MacBook Pro, a groundbreaking new notebook with dual-processor desktop performance in a thin, sleek design," said Philip Schiller, Apple's senior vice president of Worldwide Product Marketing. "The new MacBook Pro includes even faster Intel Core Duo processors than originally announced, up to 2.16 GHz, and we think customers are going to love them." The first Mac notebook using Intel's new Core Duo processor, the new MacBook Pro features a stunning aluminum enclosure just one inch thin, weighs only 5.6 pounds, includes a built-in iSight video camera for video conferencing on-the-go, the Apple Remote and Front Row software for a simple, intuitive and powerful way for users to enjoy their content wherever they go and Apple's new patent-pending MagSafe magnetic power connector, designed especially for mobile users. Every new MacBook Pro comes with the latest release of the world's most advanced operating system, Mac OS X version 10.4 "Tiger" and iLife '06, the next generation of Apple's award-winning suite of digital lifestyle applications, running natively on the new Intel-based MacBook Pro for maximum performance. Mac OS X also includes an innovative software translation technology called Rosetta that lets customers run most Mac OS X PowerPC applications seamlessly. ** Intel-based Mac customers have more than 700 Universal applications to choose from and the list is growing each day with hundreds of developers including Adobe, Quark and IBM's Lotus division announcing support for Mac OS X Intel-based applications. An updated list of Universal applications for Mac OS X is available online. The new MacBook Pro will begin shipping this week and will be available through The Apple Store, Apple's retail stores, and Apple Authorized Resellers. Additional build-to-order options for the 15-inch MacBook Pro now include the ability to upgrade to a 2.16 GHz Intel Core Duo processor for $300 extra, as well as 120 GB (5400 rpm) or 100 GB (7200 rpm) hard drive, up to 2 GB DDR2 SDRAM, Apple USB Modem, and the AppleCare Protection Plan. "Apple's decision to ship faster processors with its first MacBook Pro models will certainly please its customers, but the move may mean many of them don't get their machines quite as quickly as they might have hoped. After announcing . . . that it will this week begin shipping the new Intel-based notebooks, Apple quietly nudged back the new-purchase delivery estimates to March. "The Core Duo-based MacBook Pros debuted in January. At the time, Apple CEO Steve Jobs promised the laptops would leave the company's assembly plants in February. Apple's online stores in the UK and the US immediately offered the machines on a preorder basis and said the computers would ship in 'February', as Jobs had pledged." "Apple will launch a new Intel iBook at a special thirtieth anniversary press event in April, a leading analyst believes. "Needham & Co analyst Charles Wolf told his clients: 'At this event, it's highly likely that the company will introduce the new Intel iBook...'. "During his Macworld Expo San Francisco keynote speech, Apple CEO Steve Jobs mentioned Apple's thirtieth anniversary on April 1, 2006. Wolf sees this as a signal that the company will hold a major event that day...."
"The hassles of traveling with both have been many. And they illustrate why I and so many others are asking Apple that the nascent generation of new Macs using chips from Intel support a simple method that would allow both the Mac OS and Microsoft's Windows to coexist peaceably on a single machine." 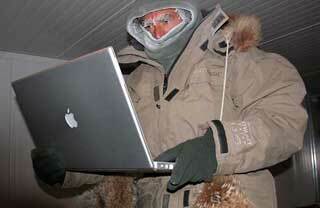 "The photo shows Nicolas Vanier testing the limits of his PowerBook in a industrial fridge in order to validate his notebook before bringing it with him towards Siberia and its polar temperatures...."
Acer is my favorite PC laptop brand, thanks to its über-cool Ferrari-styled model with a 64-bit Athlon processor. Acer announced Friday that they have surpassed Toshiba as the world's No. 3 notebook brand in Q4 2005, with 66.7% year-on-year growth - highest among the top-five notebook vendors, according to preliminary data from Gartner Dataquest. Acer notebooks ranked No. 1 in EMEA (Europe, Middle East and Africa), and No. 3 in Asia Pacific with 117.1% growth, the highest among the top-ten vendors. For the Total PC market, Acer ranked No. 4 and demonstrated the highest year-on-year growth of 56.2% among the top-ten vendors. Acer also ranked No. 3 in EMEA and No. 5 in Asia Pacific, with respective year-on-year growth of 48.3% and 62.4%, both growth rates were the highest among the top-five vendors. In the U.S. market, Acer is showing its strength as a rapidly rising PC player, by delivering 145.3% growth for Total PCs, and 202.6% for notebooks - highest among the top-ten brands. Moreover, Acer was the only desktop brand that demonstrated growth among the top-ten players. Apple placed ninth in a recent tally of laptop sales worldwide. "Seagate yesterday not only pledged to ship a 12 GB 1in hard disk drive in Q3, it also promised the drive would ship in a much smaller casing than its current 1in HDD line-up does and consume two-thirds of the power. What's more, the drive incorporates perpendicular recording technology, the company said." 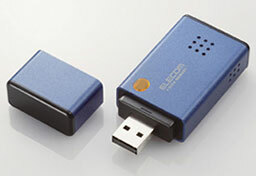 "Japanese peripherals specialist Elecom has introduced what it claims is the world's smallest external hard drive. Its MF-DU204G packs in 4 GB of storage capacity yet is sufficiently small to warrant its own, integrated USB connector. PR: Daystar Technology, the Original Mac Performance Shop, has delivered another new milestone in PowerBook speed. The introduction of the new XLR8 CPU upgrade for the Aluminum PowerBook G4 systems delivers up to 40% faster performance for owners of most PowerBook G4 systems. The PowerBook G4 upgrade dubbed, "XLR8 MAChSpeed G4 Aluminum" is a factory installed upgrade, and is available for immediate purchase. Like the XLR8 MAChSpeed G4 Pismo, Lombard, Titanium and iMac Flat Panel CPU upgrades, the PowerBook G4 upgrade is a factory installed CPU upgrade. Users simply place their PowerBook in the provided box. The shipping, testing, installation and 100% quality assurance is handled completely by Daystar's Apple Certified Technicians. Your PowerBook G4 doesn't need an emulation mode! In real-world tests, the newest Mac laptops are only marginally faster when running "universal applications"... and are up to 33% slower when running normal PowerPC applications. Need we say more? Remember Mac OS X 10.1 . . . and the first Apple Portable? The newest systems do not run OS 9, Classic at all. You get "the speed you need" without the risk - Today!. Daystar is the original Mac Performance company. Our customer testimonials speak for themselves. Have your PowerBook upgraded by a name you can trust, and get the speed you need . . . today. The CPU is the primary bottleneck on a PowerBook G4. To maximize speed and compatibility, Daystar uses the latest model, highest rated Freescale PowerPC (7447a/b) CPUs. The CPU runs transparent to the operating system and is fully compatible, fully AltiVec enabled, without any additional software required. The result is a system with much faster processing power, and improved performance in the Finder and every application. xBench 1.2 Scores jump from high 20's to over 50, faster than any Apple Laptop to date. Over twice as fast as Intel-based systems running current Mac PowerPC applications. QuickTime encoding is up to 30% faster than the first Intel-based Macs. All upgrades warranted at speeds sold, with Daystar's exclusive 90/720 warranty program. "This new upgrade provides a "non-Intel" performance choice to stranded PowerBook G4 owners", said Gary Dailey, president of Daystar. "It delivers an honest improvement in speed today, unlike the MacBooks which currently run in slow PowerPC emulation mode, and don't support FireWire 800, VirtualPC or Classic. 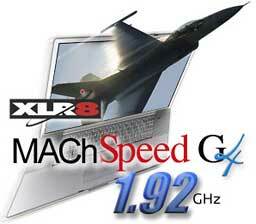 The new XLR8 MAChSpeed G4 Aluminum CPU upgrade is available for most PowerBook G4 systems. Users can choose from a variety of 3-way shipping options with varying costs. The upgrade is available worldwide. Problem System? No Problem! Daystar is an Apple Authorized Service Provider! If your PowerBook is having problems, needs a new screen, new parts, or just a full end-to-end cleaning, Daystar will handle the task. Just include your service request on the system checklist when you ship your PowerBook. Daystar will provide a full estimate on repairing or refurbishing your system before upgrading. Week-ender program for nearly zero downtime! This program includes overnight shipping of your iMac (USA only), and 12 hour conversion of your system. So, you ship your system on Thursday, then start working at G4 speeds Monday! Yes, it is expensive, but if downtime is an issue, this is your answer. Daystar Technology is simply a Macintosh Performance Shop. The company specializes in developing custom performance solutions, and integrating leading Apple and XLR8 brand technologies for consumers, enterprise and creative professionals. Daystar operates as an Apple Authorized Reseller and Service center, and maintains a staff of Apple Certified Technicians. Daystar is also the designer and manufacturer of XLR8 brand products. With its history as the creator of the original Mac upgrade, the company continues to deliver the best of the best for the Apple based computing platform. 512 KB Internal 2 Cache at CPU speed. Fully CPU / Cache Upgrade. 30 Days of Daystar ProTech Support. Custom thermal and electrical modifications. Daystar 21 point test and diagnostic. Overnight burn-in and thermal testing. 3-way US ground shipping + options. Daystar currently distributes/resells Apple, XLR8, Giga Designs, QuickerTek, Northstar and a variety of leading brand products via its store front and web store. Daystar offers a wide array of Apple performance products. It also sells and services Apple products via its storefront in Buford, Georgia. PR: PB FixIt, maker of the extremely useful Fixit Guide series, has announced that it has changed its name to iFixit. The new web address is iFixit.com. iFixit also announced the expansion of its online products. "I'm proud to announce that we have over 600 different Mac parts and upgrades in-stock and ready to ship. We couldn't be more excited about our market position," said Kyle Wiens. iFixit launched in 2003 and instantly became the leader in the Mac laptop part industry. iFixit is dedicated to helping Macintosh zealots everywhere keep their Macs running. For more information, visit iFixit.com or call 1-866-61-FIXIT. PR: Noreve's Universal Laptop Briefcase is an intelligent solution for comfortably carrying and protecting your computer with style. Its French designers have taken care of every detail. 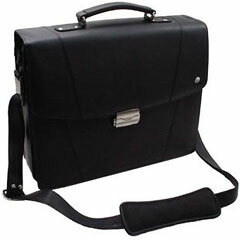 Handcrafted in top grain genuine leather, it is ideal for the executive who appreciates quality and good taste. Brushed metal slide-in buckles make the detachable shoulder strap strong and one-of-a-kind. The discrete combination lock allows you to safely carry your laptop computer and important documents. Available in three sizes: 12", 15" and 17"